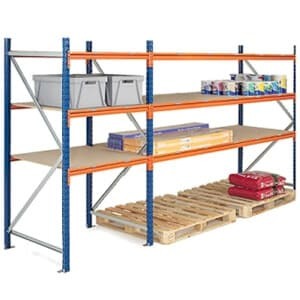 We have a good range of different packing station which means that there will be something that should fit with your requirements. Packing is very important to ensure that things stay safe in transit but it can take time. 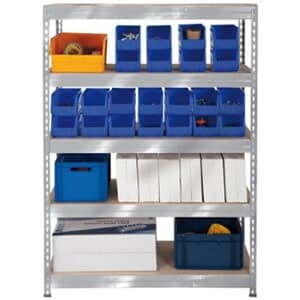 Investing in a packing station can save time and ensure things get packaged well. The basic packing station has a small bench with half lower shelf for storage. 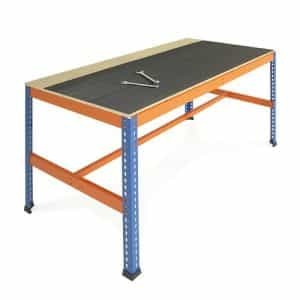 Above the bench are two rails which can be used for rolls of packaging material. 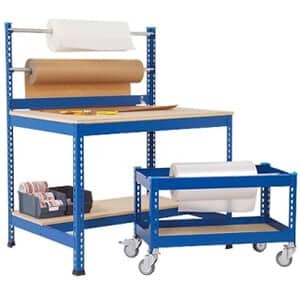 There is also a wheeled trolley with a rail which can also be used for a roll of packaging material but is mobile. The large packing stations are very similar but have a longer bench so more room for packaging tasks. 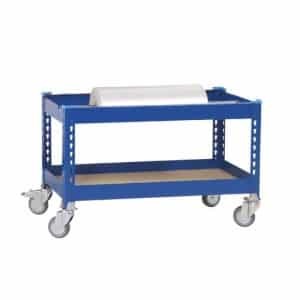 They have half a lower shelf and space underneath the other half of the bench to tuck away the wheeled trolley with rail for packaging material. There are two rails for rolls of packaging fixed above the bench as well. 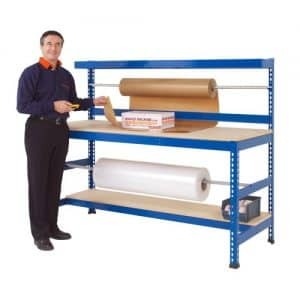 It is possible to purchase the packaging station reel trolley on its own, if that is all that you need. You can also purchase an anti-fatigue mat for under the packing stations to help those using it to feel better while on their feet a lot. 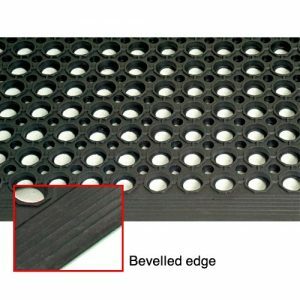 There is also workbench matting which could be handy if you need the surface of your packaging station to be non-slip. 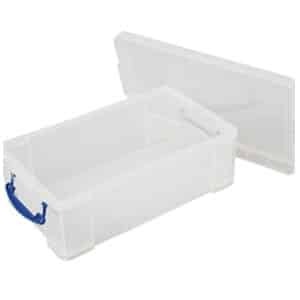 These items will make the task of packaging up materials much easier. You will be able to keep everything that you need close by so it will be more efficient. 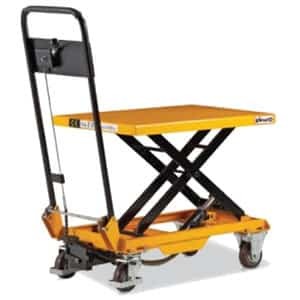 The trolley helps to move things around to where you need them but can be neatly stacked away when not in use to keep the area safe and tidy. Packaging can take time but having everything efficiently placed on a station will speed up packaging time and ensure that items get packed up in time.